The Electric Power Corporation (E.P.C.) commissioned 15 brand new vehicles yesterday, valued at $1.7million as part of efforts to improve the delivery of their services. Launched at the E.P.C. Fuluasou Control Centre at Tuanaimato, the workers were immediately told that the vehicles are neither toys nor racing cars. 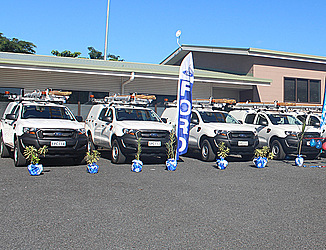 Ten of the vehicles are customised vehicles and five of them are standard vehicles. 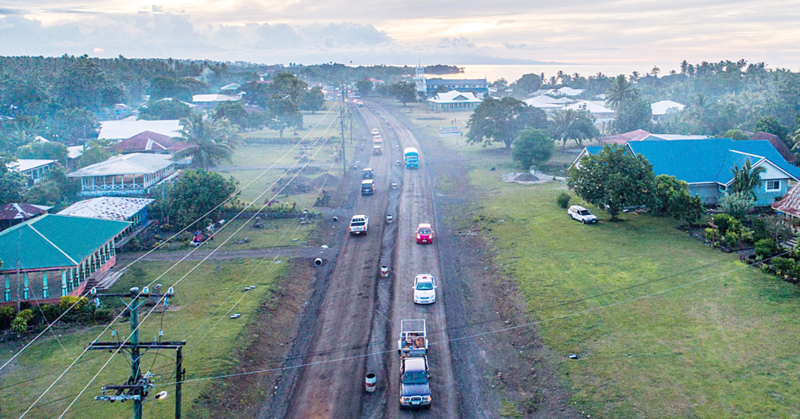 General Manager of E.P.C., Tologata Tile Tuimalealiifano, said the 10 customised vehicles cost $1.2 million while the five standard vehicles cost $400,000. During the launch, the Chairman of the E.P.C. 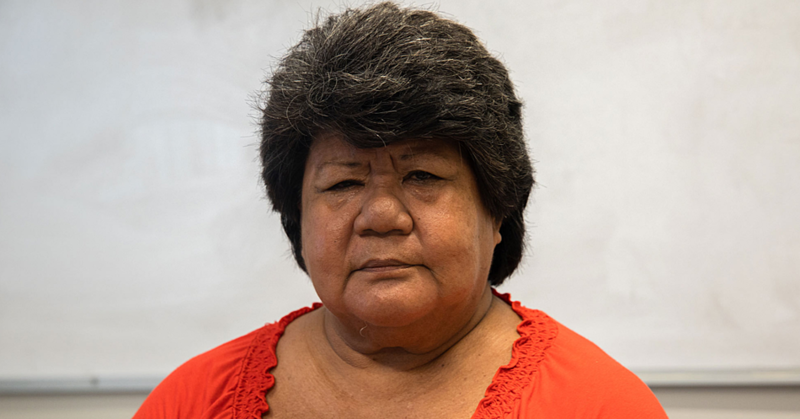 Board, Ulumalautea John Ryan, urged the employees and the Corporation to look after the assets like their own. “These are very expensive assets and everyone needs to look after them,” he said. “I also urge those who will be using these vehicles that these vehicles are not toys, they are not racing cars either. “The only people that should be driving these vehicles are the ones who have been authorised to drive them and have valid licenses. Ulumalautea went on to say that the Minister and the Board of E.P.C. has provided the vehicles to ensure the service provided by E.P.C. to the country is outstanding. “That is the reason why we spent more than a million on these new vehicles so that we can get to wherever our help is needed around the country,” he said. “We all heard the need of the minister and the board of the corporation that the price of electricity should be decreased. 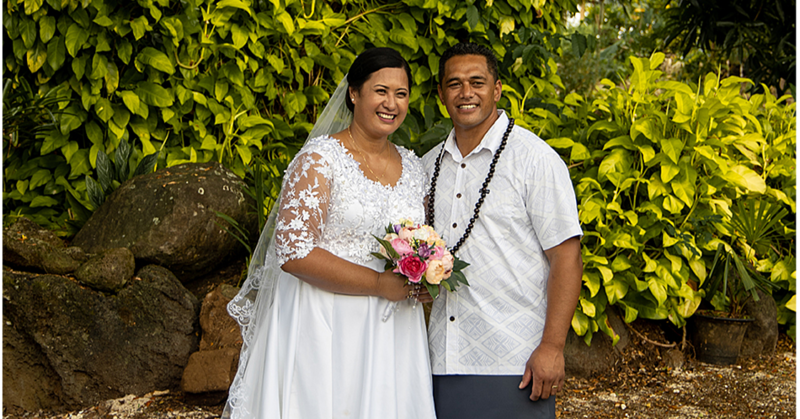 Minister of Works, Transport and Infrastructure, Papali'i Niko Lee Hang, supported the Chairman. “For ten years I worked in the Finance Committee of Parliament and five years ago I was chosen as a Chairman of the Committee,” he said. “Many of the regularity reports that have been coming through on crashed vehicles’ or government assets are either caused by drunk drivers or speeding vehicles. “[But] I just want to remind all of you that yes it’s the government assets but we are also putting into these assets. “It’s our taxes that are paying for all of these, so whoever has this kind of mindset then I remind you that we are all paying for these assets.